Got Quad-Core? Need Enterprise Edition Oracle? There is quite a buzz today about Oracle’s changes to software licensing for the database products. According to this ZDNet article, the changes are specific to the Standard Edition family of database products. The article refers to Oracle’s multi-core pricing guide which was updated on February 16, 2007. Get out your slide rule and gulp a heaping helping of patience. Servers with four quad-core chips are relatively rare right now, but Intel and AMD plan to release processors for that segment later this year. Um, the Xeon “Cloverdale” processors are quad-core and shipping already. AMD “Barcelona” is coming out this year. So what does this change really mean? If you use one of the Standard Edition products, you are longer limited based on cores, but sockets instead. Customers no longer must buy licenses for each of the 16 cores to run the top-end Enterprise Edition, but instead may buy licenses for the four sockets and run Standard Edition. That cuts list licensing prices from between $320,000 and $480,000–depending on Oracle adjustments that factor in multi-core processor performance–to $60,000. I am still scratching my head about that one. Customers don’t swap out EE for SE at the drop of a hat—or do you? Since the choice would have never been there before to run SE on that many cores, could it be that SE will start to be the preferred multi-core edition? Can you live without the differences between EE and SE? Folks that if have EE on a 4-Socket F (2200/8200) Opteron system today might be wise to think very hard about whether they can drop to SE because if they plug in Barcelona processors (they are socket-compatible), EE is going to be very, very expensive. That is, if you stay with EE and plug in Barcelona processors you will double your license cost. I find this to be a very interesting policy change. For some implementations “Named User Plus” licensing approach makes things somewhat simpler (and cheaper). As companies like Dell and HP start making quad core the norm in their server offerings, this is going to change aagain. I only see this as a revenue grab for the SMB market by Oracle, as end of year is coming up. We actually had the SE v EE discussion internally for our customer base, knowing that we have to deal with licensing for both large and small customers coming up. I think the key is how you handle the development cycle. For us, each customer takes the base code branch which does not have any specific EE features, and we modify from there. Granted it makes the CM group pull their hair out, but that’s what CM is for. We’re going to go even further and use Standard Edition One (which drops RAC support); it’s cheaper to buy more servers and write software to make the application implement the parallellism than it is to do that in Oracle. We’re distorting the architecture to suit Oracle’s wacky license scheme, in other words. Since Standard Edition is licenced per socket, not per core, it makes sense to go for the most cores per CPU that you possibly can. I’d have gone with T1 CPUs if we could afford it, but I’m hoping the quad-core Xeons in the Sun Fire x4150 will be up to the job. Interesting comment. 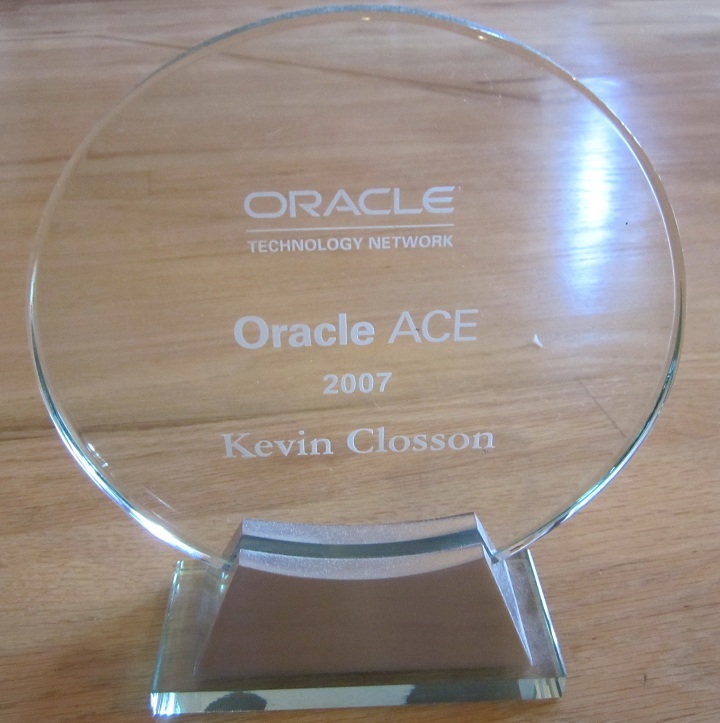 Might I ask if you’ve ever met anyone that paid anywhere near list price for Oracle? Great comment, I too would like to meet anyone that’s paid list price. Any comments after year and a half? Is purchasing 2xBarcelona is better than 4xSanta Rosa ? I wonder if Oracle just want to stop selling SE… so many silly limit…I hate m$, but for small/medium business probably it makes sense… also a MySQL cluster…the problem stands with software write on Oracle for Oracle (in house developed code for example). I love Oracle product, so Oracle Corp. don’t make me hate them! Just to put closure on this – the following TPC benchmark details makes it definite that for SE or SE1, socket = physical CPU, not core. Drill down the cost to a 3-year term license for one processor for SE1 and you end up with $2,900 – that is exactly what is in the TPC disclosure details. Hence, 4 core Xeon is licensed as 1 processor SE1 – that is the only possible conclusion here. It follows too that socket = physical CPU for SE. So it is possible say for a 2-node SE RAC with 2 physical CPUs per node and a CPU with 6-cores each to get the an Oracle database using 24 cores total but you pay only for 4 processor SE license! Awesome!